How it works: antarctic krill provides a highly bioavailable source of epa and dha, essential omega-3 fatty acids (efas). Efas are vital to the health of the cell membrane and also contribute to cardiovascular, brain and structural system function. They provide joint and skin support and may help support cholesterol levels already within the normal range. Krill is also a natural source of astaxanthin, a powerful antioxidant carotenoid. 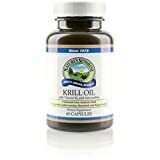 Krill oil also contains phospholipids, which bind to the omega-3 fatty acids, improving their absorption in the body. These phospholipids provide strength and elasticity to the cell membrane, helping to keep toxins out and let nutrients and oxygen in. Vitamin k2 provides added support for the cardiovascular system and bone health. Ingredients: 20 mcg vitamin k (25% of daily value), plus krill oil, fish oil, epa, dha and astaxanthin. Recommended use: take 1 capsule with a meal one or two times daily. NEW BRANDING, SAME GREAT PRODUCT: Iron Ore Health are continuously improving our products, our new logo and bottle design is just one of the ways. Don’t worry, it’s still the Same Great Product! SUPER EFFECTIVE: CLA has been used by Athletes, Body Builders and Dieters to help them achieve their goals! Iron Ore Health cares about your health as much as our own and only sources the best ingredients for our supplement products. When creating this product we wanted to ensure that we could deliver the purest quality CLA for maximum health benefits, while maintaining great value for our customers. Research shows that CLA impacts the BMI of test subjects. DOSAGE: Research suggests that an intake in excess of 1000mg CLA per day increases these effects. Iron Ore Energising CLA contains a massive 1000mg of CLA in a Single Capsule, more than many products on the market.